In work, we should let nature take its course and not struggle for the sake of our own fame and fortune—it is enough to have food and clothing. At the same time, we must put our heart into reading God’s words and pursuing the truth, we must arm ourselves more with the truth, train with and practice God’s words in our lives and allow God’s words to become the principles of our lives and our conduct. I’m a new believer who has recently accepted God’s work. 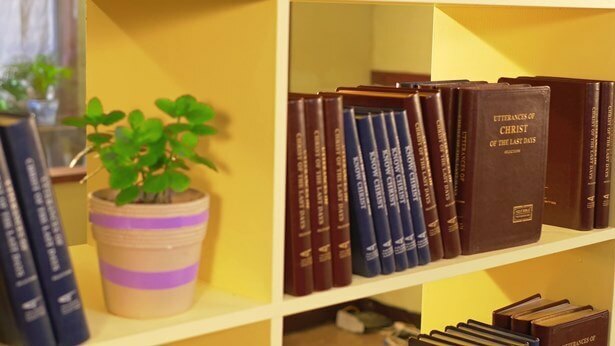 Although I know that, as a Christian, one must attend church gatherings and read God’s words, and I want to practice in accordance with God’s requirements, my work is so busy every day at the moment and I have an active social life. I feel exhausted every day. Although I’ve made some money over the past few years and my living standards have improved, I always feel like I want to make more money in order to provide protection for my family’s future. Therefore, I work very hard every day to make money and I have no time to attend church gatherings or read God’s words. My heart always feels empty and I feel indebted to the Lord. How can I find a balance between my work and my belief in God? This issue puzzled me for a long time as well. Later, by reading God’s words and through the fellowship and support of brothers and sisters, I finally and gradually came to understand God’s will, and I discovered that if I wanted to balance my work with my belief in God, then I had to understand the value and meaning of pursuing the truth, as well as what it is exactly that we work for. Once we have thoroughly understood these truths, we can then make calm decisions regarding attending gatherings and our jobs. Below, I will fellowship a little of my own experiences and knowledge. In fact, we all have to work in order to live, but if we have no time to attend church gatherings or read God’s words because we’re too busy with work, then that is at odds with God’s will. The main reason for this is because we have failed to see the meaning and the importance of pursuing the truth. If we understand the value of the truth and we experience the enjoyment, the release and the freedom that come with practicing the truth, then we will want to attend gatherings and read God’s words. The Lord Jesus said, “Man shall not live by bread alone, but by every word that proceeds out of the mouth of God” (Matthew 4:4). God’s words say, “Whether the words spoken by God are, in outward appearance, plain or abstruse, they are all truths indispensable to man as he enters into life; they are the fount of living waters that enables him to survive in both spirit and flesh. They provide what man needs to stay alive; the dogma and creed for conducting his daily life; the path, goal, and direction through which he must pass in order to receive salvation; every truth that he should possess as a created being before God; and every truth about how man obeys and worships God. They are the guarantee that ensures man’s survival, they are man’s daily bread, and they are also the sturdy support that enables man to be strong and stand up. They are rich in the reality of the truth of normal humanity as it is lived out by created mankind, rich in the truth by which mankind breaks free from corruption and eludes Satan’s snares, rich in the tireless teaching, exhortation, encouragement, and solace that the Creator gives to created humanity. They are the beacon that guides and enlightens men to understand all that is positive, the guarantee which ensures that men will live out and come into possession of all that is righteous and good, the criterion by which people, events, and objects are all measured, and also the navigation marker that leads men toward salvation and the path of light” (“Knowing God Is the Path to Fearing God and Shunning Evil”). As we live in this world, it won’t do to merely have material things—what we most need is the guidance and the supply of God’s words. Material things can only provide the basic necessities for living and can provide temporary comfort and satisfaction for our flesh. But only the word of God can resolve the difficulties and problems we encounter in our jobs and in our lives, for the word of God is the truth and it can both show us the way to practice and soothe our spirits. Otherwise, though we may be very rich and live a prosperous life, we still feel empty and pained in the deepest recesses of our hearts. For example, we work hard on this earth in order to survive and we come to appreciate how unfair the world is, and how wicked people can be. In our dealings with other people, we all encounter difficulties that we don’t know how to handle, and these difficulties simply cannot be resolved with money or material things. Only by coming before God, attending gatherings, reading God’s words and fellowshiping with brothers and sisters can we understand the truth, be discerning when we encounter issues and thoroughly understand the essences of all manner of different people. Then, when we interact with other people, we will know how to approach them. Furthermore, we are under the dominion of the satanic poisons of “People struggle to go upward, but water flows downward,” and “To be a man is to get ahead.” We focus on pursuing status to make others look up to us in the belief that this is a splendid way to live. When we are without status, we vie with others both openly and behind their backs and we unscrupulously try to usurp their position. And when we obtain status, we are on our guard against others at all times, worrying that someone else will come and replace us and living in extreme suffering. Only through reading God’s words and attending gatherings and fellowshiping the truth with brothers and sisters can we thoroughly understand that fame, fortune and status are ways in which Satan corrupts and harms us. We rack our brains to pursue fame, fortune and status and we will pay any price, and we end up living in unbearable pain, exhausted in both mind and body. Also, the more we pursue fame, fortune and status, all that happens is that we sink deeper and deeper into sin, and our lives cease to have any value or meaning. At the same time, we come to understand from God’s words that, whether us human beings possess status or not, we are just tiny created beings, and the most important things for us to do are to fulfill the duty of a created being, pursue the truth to satisfy God and worship God, and obtain God’s praise and blessings. In this way, our inner satanic outlook is transformed, we no longer concern ourselves with gains and losses for the sake of fame, fortune and status at work, and we no longer try to prevail over others and scheme against them. When someone is better than us at something, we are then able to treat them properly and submit to God’s sovereignty and arrangements, and our hearts naturally become peaceful and at ease, free and liberated. Therefore, God is beside us when we pursue the truth and, no matter what situation we encounter, God is always in our hearts, supporting us, and we have God’s words to steer our course by. We can then calmly face and obey the orchestrations and arrangements of God, and this sense of comfort and peace we feel in our spirits is the only true happiness. It is evident, therefore, that the truth gives us so many blessings, and pursuing the truth is more meaningful than anything else. Making the effort to read God’s words and pursue the truth is the only intelligent thing to do! The Lord Jesus said, “Therefore I say to you, Take no thought for your life, what you shall eat, or what you shall drink; nor yet for your body, what you shall put on. Is not the life more than meat, and the body than raiment? Behold the fowls of the air: for they sow not, neither do they reap, nor gather into barns; yet your heavenly Father feeds them. Are you not much better than they?” (Matthew 6:25–26). “Therefore take no thought, saying, What shall we eat? or, What shall we drink? or, Wherewithal shall we be clothed? (For after all these things do the Gentiles seek:) for your heavenly Father knows that you have need of all these things” (Matthew 6:31–32). We can see from God’s words that He does not want us to expend too much energy on the basic necessities, but rather He wants us to come more before Him to build a normal relationship with Him and focus on our lives. We don’t need to concern ourselves too much with all the things we need to live, for God will provide them, and all we need to do is submit to God’s orchestrations and arrangements—as long as we have food and clothing, then that is enough. Take the story of the prophet Elijah in the Bible, for example. To avoid being killed, he hid in a mountain valley where there was nothing to eat, yet God gave him food through ravens. In a great drought that lasted for three years, God made the poor widow provide for Elijah when all she had was a tiny bit of oil in a jug and a tiny bit of flour in a jar, and yet they survived three years of famine. And there are many brothers and sisters today who follow God who have a deep appreciation of these words of God. When they take pursuing the truth and practicing the truth as their number one priority, and when they entrust their lives to God and let nature take its course with their work, they discover that God still provides much, more even than they ever imagined. Perhaps we may all think like this: “Everyone has to have a career in order to live, and must earn money to support one’s family—is this not the proper way to live?” Of course, there’s nothing wrong with earning money and supporting one’s family, but oftentimes we are not working hard and toiling just to support our families, but instead we do it to satisfy the extravagant desires of our flesh. We want to earn even more money so we can buy a house, buy a car and enjoy a high-flying life and thereby win the admiration and esteem of others. For the sake of physical comforts or the admiration and esteem of others, we work extra shifts and work overtime, to the point where we spend all our time and energy on making money. Not only do we then ruin our bodies through exhaustion, but we also have no time at all to come before God. In this way, we unknowingly lose the chance to worship the Lord of creation as created beings. God’s words say, “In fact, no matter how lofty man’s ideals are, no matter how realistic man’s desires are or how proper they may be, all that man wants to achieve, all that man seeks for is inextricably linked with two words. These two words are vitally important to the life of every person, and these are things Satan intends to instill in man. Which two words are these? They are ‘fame’ and ‘gain.’ Satan uses a very subtle kind of way, a way very much in concert with people’s notions; it is not any kind of radical way. In the midst of unawareness, people come to accept Satan’s way of living, its rules of living, establishing life goals and their direction in life, and in doing so they also unknowingly come to have ideals in life. No matter how high-sounding these ideals in life seem, they are just a pretext that is inextricably linked to fame and gain. … People think that once they have fame and gain, they can then capitalize on them to enjoy high status and great wealth, and to enjoy life. Once they have fame and gain, they can then capitalize on them in their pleasure-seeking and unscrupulous enjoyment of the flesh. People willingly, albeit unknowingly, take their bodies, minds, all that they have, their futures and their destinies and hand them all over to Satan in order to attain the fame and gain they desire. People actually do this without ever a moment’s hesitation, ever ignorant of the need to recover it all. … Once someone is mired in fame and gain, they no longer seek that which is bright, that which is righteous or those things that are beautiful and good. This is because the seductive power that fame and gain have over people is too great, and they become things for people to pursue throughout their lives and even for all eternity without end. Is this not true?” (“God Himself, the Unique VI”). God’s words are so clear! From when we are little, we are indoctrinated with satanic life axioms, such as “Money isn’t everything, but without it, you can do nothing,” “To be a man is to get ahead,” and “A man leaves his name behind wherever he stays, just as a goose utters its cry wherever it flies.” Under the influence of these axioms, our hearts advocate money, we covet physical pleasures and seek to become top dog, regarding fame, fortune and status as being more important than anything else. Under the dominion of these fallacious ideas, we no longer work purely to be able to support our families, but instead we work seeking to have a career with which we can win the admiration and esteem of others. For this reason, one-by-one we become money-making machines, we live exhausted and in pain, and some people even ruin their own bodies and ultimately pay with their lives. Although we may make some money, yet inside ourselves we often feel empty and helpless, without a hint of peace or joy in our spirits. Furthermore, when we live by the life axioms of Satan and persistently pursue fame and fortune, our hearts grow farther and farther from God and our interest in fulfilling the duty of a created being—believing in God and worshiping God—grows less and less. Some people even come to think that attending church gatherings and reading God’s words interfere with their ability to earn money, and so they stop going to gatherings and they stop reading God’s words, and without them being aware of it, they lose their normal relationship with God. From this, we can see that Satan uses our pursuit of fame and fortune to steal us away from God, to bring us thoroughly under its control and occupation and so that we sink deeper and deeper into the quagmire of sin. Therefore, we must understand that fame and fortune are ways in which Satan deceives, harms and devours us, and the pursuit of fame and fortune is the wrong path to take. Once we can understand and discern our inner wrong views on pursuit, we can then take the correct approach to our work. In fact, there is no clash between our jobs and our belief in God. So how then should we establish a normal relationship with God in our work? The Lord Jesus said, “God is a Spirit: and they that worship Him must worship Him in spirit and in truth” (John 4:24). God is a Spirit and we can worship Him and establish a normal relationship with Him in any place and at any time. While we’re at work, though we may be busy with the work at hand, we can still quiet our hearts before God, think of God’s love and salvation, contemplate the truths in God’s words and learn to practice and experience God’s words. God will then be with us, helping us to resolve our difficulties and guiding us on how to conduct ourselves as human beings. When we establish a normal relationship with God and we obtain the work of the Holy Spirit, our hearts derive comfort and will feel peace and joy. In this way, even though we may tire from our work and we may find it hard to make time, we can still face it all with a positive attitude. Let me tell you a little of my own experiences. When I’d only just started to believe in God, I believed that work was work and faith in God was faith in God. I believed that attending gatherings was the only proper way to worship God and I simply had no idea that I could practice God’s words when I was at work. At that time, I was working in a restaurant and it was very busy. I also had several church gatherings to attend per week and I never felt like I had enough time. I felt like I didn’t have the time to read God’s words nor any opportunity to experience His words. While I was at work, I felt like the time dragged by and was very dull. Later at a church gathering, a sister read me a passage of God’s words that concerned my problem: “Because in order to walk in God’s way, we cannot let go of anything to do with ourselves, or anything that happens around us, even the little things. No matter whether we think we should pay attention to it or not, as long as any matter is facing us we should not let it go. All of it should be viewed as God’s test for us. How’s this kind of attitude? If you have this kind of attitude, then it confirms one fact: Your heart fears God, and your heart is willing to shun evil. If you have this desire to satisfy God, then what you put into practice isn’t far from the standard of fearing God and shunning evil. There are often those who believe that the matters which aren’t paid much heed by people, the matters that aren’t usually mentioned—these are merely minor trifles, and they don’t have anything to do with putting truth into practice. When these people are faced with just such a matter, they don’t give it much thought and let it slide. But in actual fact, this matter is a lesson for which you should be studying, a lesson on how to fear God, on how to shun evil. Moreover, what you should be even more concerned about is knowing what God is doing when this matter arises to face you. God is right at your side, observing every one of your words and deeds, observing your actions, your mind changes—this is God’s work” (“How to Know God’s Disposition and the Result of His Work”). By reading God’s words, I came to know that the people, events and things we encounter every day, whether big or small, are all meticulously arranged by God for our sake. God wants to trial us and test us through these people, events and things to see whether or not we revere Him, whether or not we can practice in accordance with His words in all things, and whether or not we have entered into all kinds of truths. I was never aware before that I could experience God’s words in the people, events and things around me and I therefore missed many chances to gain the truth. I decided that I must focus on bringing God’s words into my real life, I must experience and practice God’s words at work and I must pursue the truth in the environments that God arranges so that my life may gradually mature. One day, I was in the restaurant writing the menu when the manager asked me to add more dishes to customers’ bills so that we could charge them more. I knew that the Lord said: “But let your communication be, Yes, yes; No, no: for whatever is more than these comes of evil” (Matthew 5:37). The Lord asked that we be honest and call a spade a spade. If we lie for the sake of profit, then we are engaging in deception and we will not earn God’s praise. I knew that I should not tell lies to cheat the customers, but I worried about displeasing the manager so that he would make things difficult for me or cut my pay, and if I didn’t handle it well then I could even lose my job. As I worked my way through this dilemma, I suddenly realized that God had permitted this issue to befall me and that God was right beside me watching to see what I would do with the truth and watching to see whether or not I would practice God’s words and be an honest person. And so, I prayed to God and became willing to forsake my flesh and practice the truth. I didn’t care how people would treat me or whether or not I would lose my job, but instead I wanted to focus on living before God and establishing a normal relationship with God. After praying, my heart felt much more at ease and I found the resolve to practice the truth and satisfy God. Unexpectedly, just as I was truthfully writing up the menu for the customers, though the manager said nothing, he later went and told the restaurant owner that I was honest and trustworthy. I witnessed God’s wondrous deeds and I experienced the feelings of peace and security, of release and freedom that comes from practicing the truth, and those are feelings that no amount of money can buy. In my work after that, I always paid close attention to the people, events and things around me and I focused on experiencing and practicing God’s words, and gradually my relationship with God normalized and I felt much more relaxed at work. Brother Xiaodong, having now given fellowship about how to find a balance between work and belief in God, I trust that you will now have some paths to follow. In work, we should let nature take its course and not struggle for the sake of our own fame and fortune—it is enough to have food and clothing. At the same time, we must put our heart into reading God’s words and pursuing the truth, we must arm ourselves more with the truth, train with and practice God’s words in our lives and allow God’s words to become the principles of our lives and our conduct. In this way, we will gradually be able to understand the truth and come to know God more and more. At the same time, we will obtain inner liberation and freedom as well as the joy that comes from having God beside us. May the Lord bless you!